HomeBuild a 2000 sq.ft. Greenhouse Frame for LESS THAN $700!!!!!! 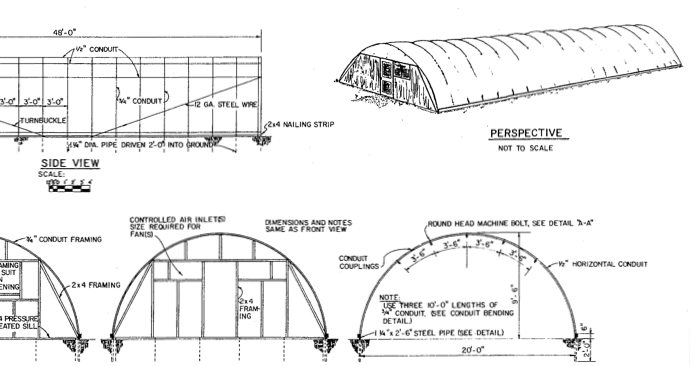 How would you like to learn how to build your own Greenhouse?What about learning how to build a 2,000 square foot Greenhouse Frame for less than $700 in materials?!?!?!?! So why are we holding this class? Well, Green Phoenix Farms is moving, we recently bought 1.8 acres of land, and we are going to be setting up a full scale commercial production Aquaponic facility. This will be inside several greenhouses (using this design) on the new property. We have been looking at designs from various different companies for several years now, and comparing the and designs for greenhouses…. We have to say, after all this searching, THIS is the simplest design, it will work really well here in N. Texas, AND it is supremely affordable! So come on out, we will provide lunch before the class, and you will also get a complete material list (with SKUs for Home Depot). In addition, you are welcome to take as many pictures as you would like of the entire build. What is the “all in ” cost, including the covering? I like your revised web site a lot. 1. The “All-In” cost would vary depending on the specific covering. We will have estimates on various covers on the hand-out, I just don’t have then at this moment. 2. The class is $35 per person, and that includes the hand-outs and Lunch! 3. The low profile of the structure will shed a great deal of wind, and the overall structure is actually more closely built that many other designs we have seen. I think that the stability will be more than sufficient for our are of N. TX. For those of us not in Texas,and can’t make it, will you be offering this guide/list online to view? We will be releasing a series of videos detailing the construction of this Greenhouse on our Youtube channel in the future (just not sure if we can film THIS particular class). I promise that the information will be available. Will you reschedule depending on the weather? I would like to come. Would be coming up from Houston though. We will if necessary, however I doubt that there will be a problem and if there is — we have a 3,000 sqft warehouse that we can fit a few people into…. We look forward to having you come up! Where is this event happening? Kathleen, this will be at our shop in Mansfield, TX. I will edit the post to include the address. Sorry for leaving it out. Please let us know how many people will be coming with you. Raul, this will be at our shop in Mansfield, TX. I have edited the post above to include the address. Please let us know how many people will be coming with you. I’m interested, what’s the exact address? I see NW Texas, but need specifics? I’m coming from Mississippi. Rosalind, I have edited the post above to include the address of our shop in Mansfield, TX. Please let us know how many people will be coming with you. Hello, I can’t make to the class in TX, I live in Florida’ but I’m very interested to build a green house. Is any way I can get some kind of blue print of your project and how much it cost to get them? Adolfo – we are working on just that type of thing. We should be able to get back to you in a week or so with some options. My wife Donna and I are planning on being there and looking forward to it! 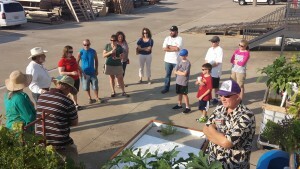 I just read that there will be an aquaponics section from 9-11 ….what will you be going over during that session? We may try to come to that too…. But for sure we’ll be at the green house portion. 5 people will be with us. I will be attending this event. Thanks! Just me though. Kenny Garrett and Chase Johnson will be going. Me and My father will be there! Hi! Great to see this workshop in the works – how did it turn out? Are there videos of the event or is there a way you could post your list? I would be happy to pay for a copy to compensate for your time, if you’d accept paypal or email money transfers. My business Aquaponic Greenhouses is now pricing out our second and larger commercial scale greenhouse, and we would be happy to use your design, or at least look at it and to review. Let me know!